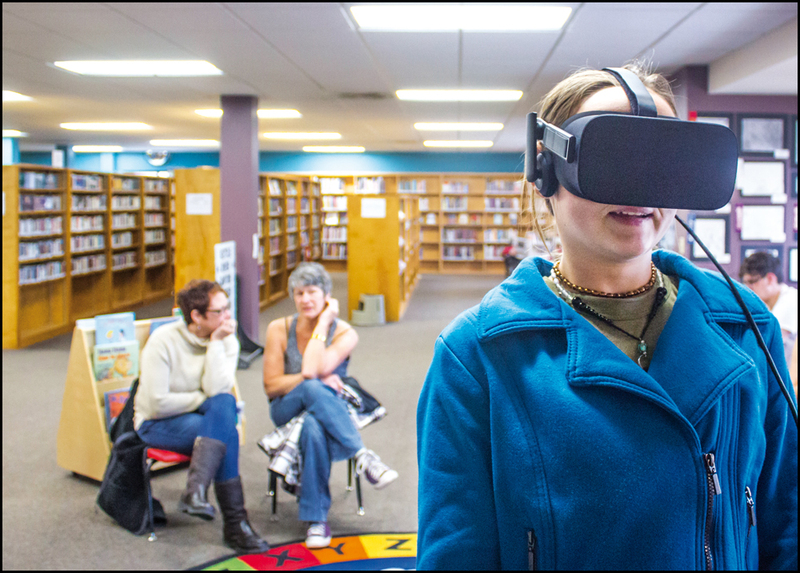 From the summit of Everest, the tallest buildings in Gotham City, the International Space Station or a tour of the White House – the Oculus Rift Virtual Reality systems Stevens County Libraries currently has is giving people an experience like none other. Thanks to a test program by the Washington State Library, Stevens County was one of the first library systems that got to try out the headsets with the general public. They’ll be at the Chewelah Library every Monday and Friday from 3 to 5:45 p.m. So far, the results have been fantastic. “One person experiencing a height dropped down to their knees and crawled to look over the edge of a building,” Librarian Katie Park said. The Oculus Rift VR system consists of a powerful gaming laptop, a headset with speakers and two handheld controllers for interactions with the environment. One Oculus Rift headset retails for over $720 while the Oculus Go slimmed-down version goes for roughly $200. The VR demonstration has been a hit at the library and recently at the Chewelah Home and Garden show where many community members – mainly staff from The Independent – tried out the headsets. “At the Home and Garden Show, John Grumbach tried it and we put him into the Mt. Everest program. Since he was afraid of heights, he got about 30 seconds in and took the headset off,” Katie said. Still Grumbach did walk around the show and tell everyone how amazing the experience was. The Chewelah Library will have the devices until July and they hope to have them longer or again at a later date. “We’re giving lots of feedback to the state library about people’s experiences, and we were just lucky to be on the ground floor with this,” Tidwell said. While VR has been something in the gaming world’s consciousness for some time, it’s been rather clunky with commercial failures like Nintendo’s Virtual Boy. 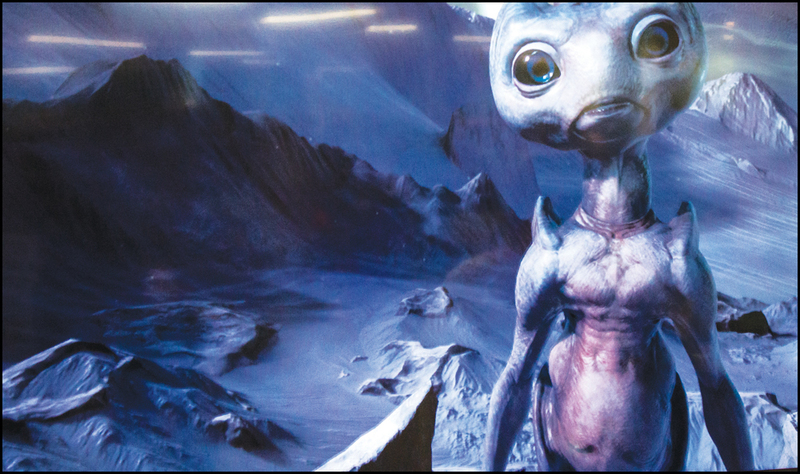 Playstation has employed VR into their consoles, while mobile phones are now being used with headsets for VR experiences as well. The Oculus Rift, however, is the cutting edge of technology, designed by the company Oculus VR which includes John Carmack on the development team. Sound familiar? Carmack was the designer of the revolutionary first-person shooter DOOM in the early 90s. Carmack had a knack for designing game engines that pushed the limits of virtual technology and his latest venture is no different. The company recommends that only kids as young as 13 use the devices. The library requires parental permission for kids age 13-17. “It’s what Occulus recommends, so we are staying consistent with that,” Tidwell said. 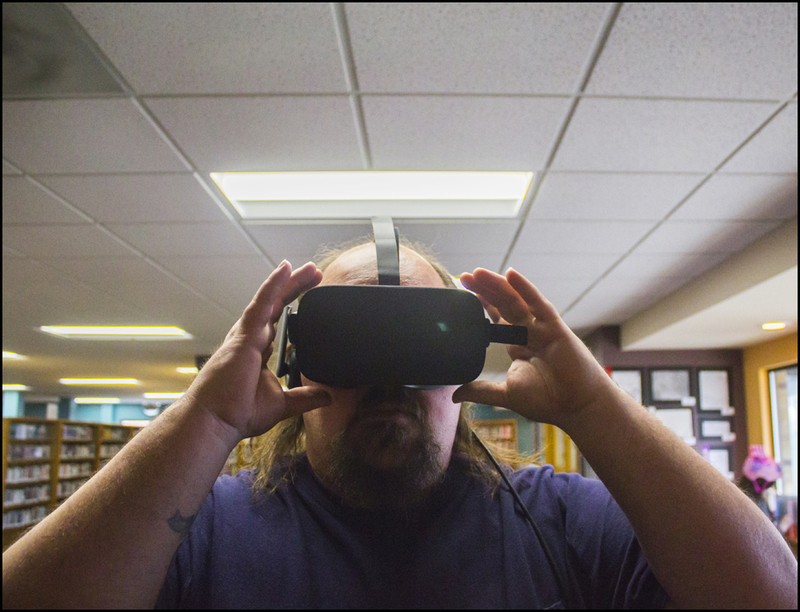 Chewelah resident Chuck Ritchie tried out the VR headset last week and was blown away with the experience. Ritchie admitted it was so realistic he began to panic when he was flying away from the International Space Station into deep space. “Then I realize, ‘oh I’m still in the Library, in Chewelah.’,” he said. Lexi Chisholm, 23, agreed the VR experience felt real and that being afraid of heights, experiencing the skyscrapers of Gotham City was a bit daunting. 5:45 p.m. through July as well as at various times throughout Stevens County at other locations.